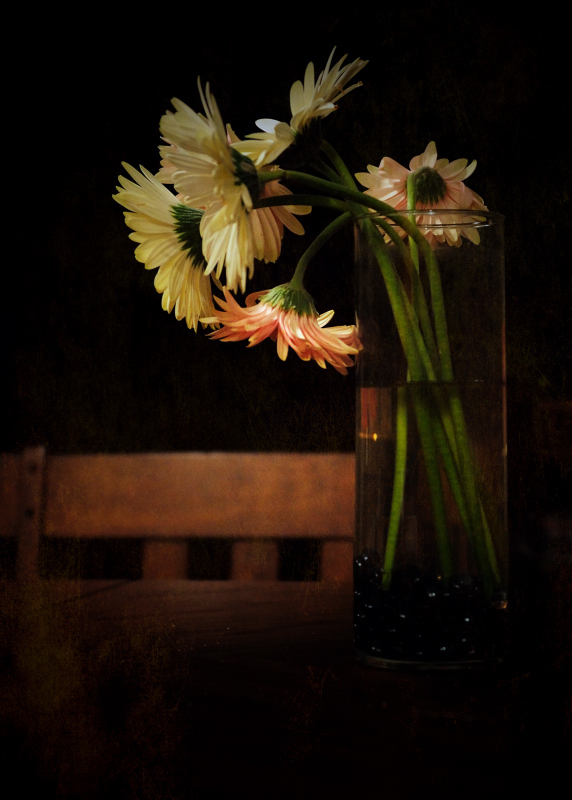 The flowers I bought a week ago are quickly fading. But I still enjoy them, even in this droopy state. I used a texture from Skeletal Mess, from his new Scratch the Surface texture set. This is just GORGEOUS! Love your processing on this one! Oooh...so pretty! Thanks for sharing the texture site!